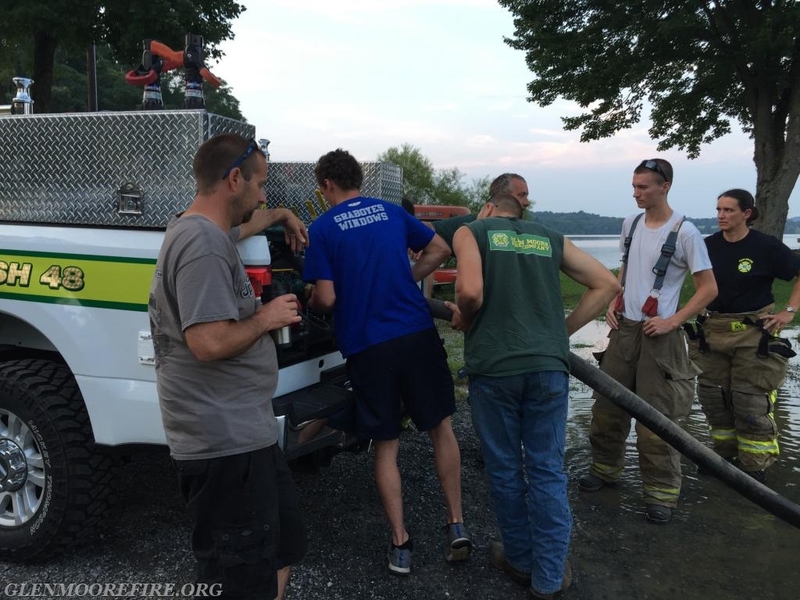 This was a busy Wednesday night for the volunteers at Glen Moore Fire Company. Several members traveled to Bucks County Community College to celebrate Ethan's graduation from the Firefighter 1 training program. (See related story). 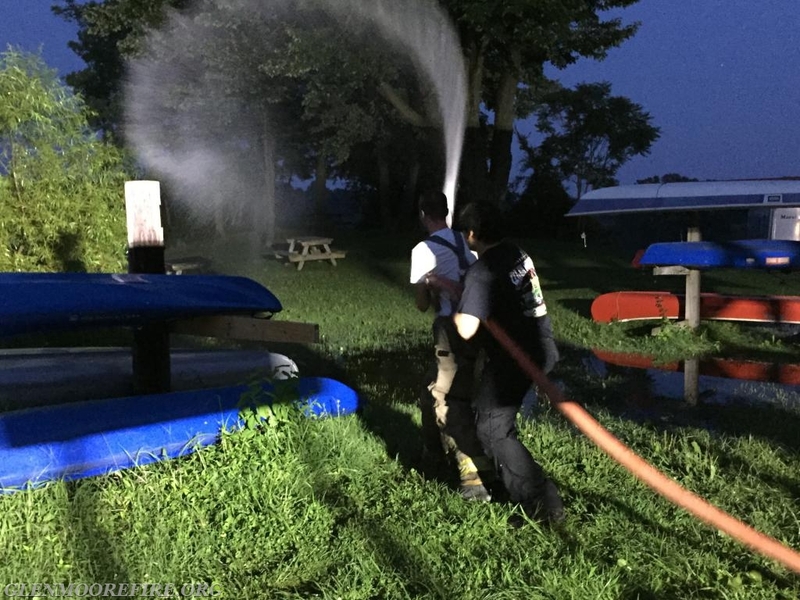 Other members continued training on water supply. 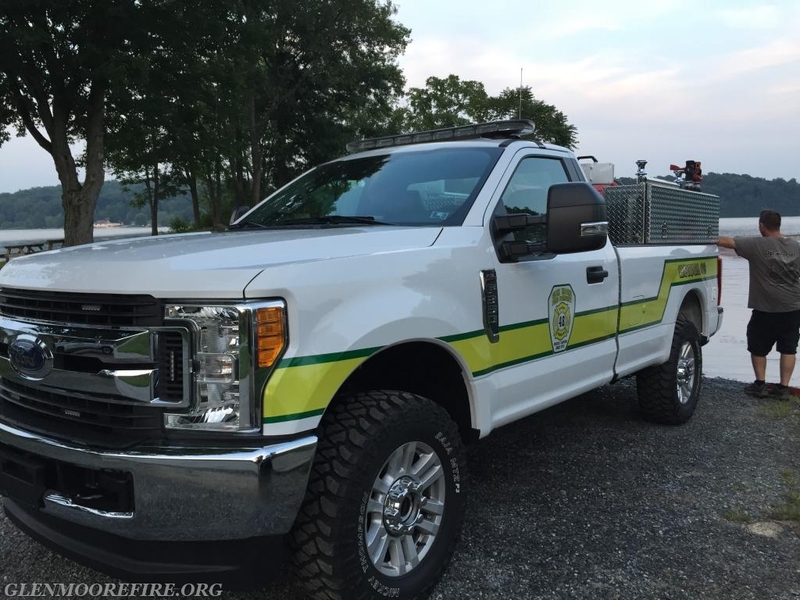 A new member was welcomed to the fire company this week. 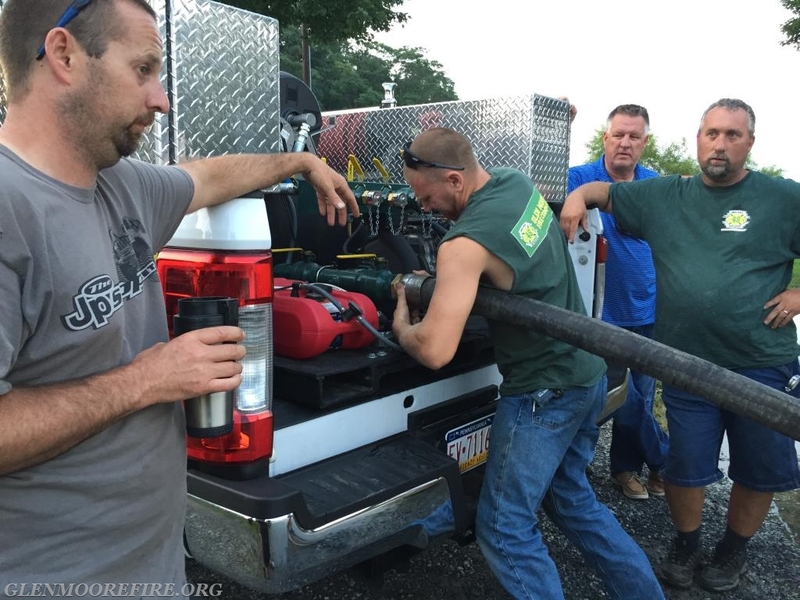 He started driver trainer on 48-5 and was able to practice water supply using a dry hydrant. 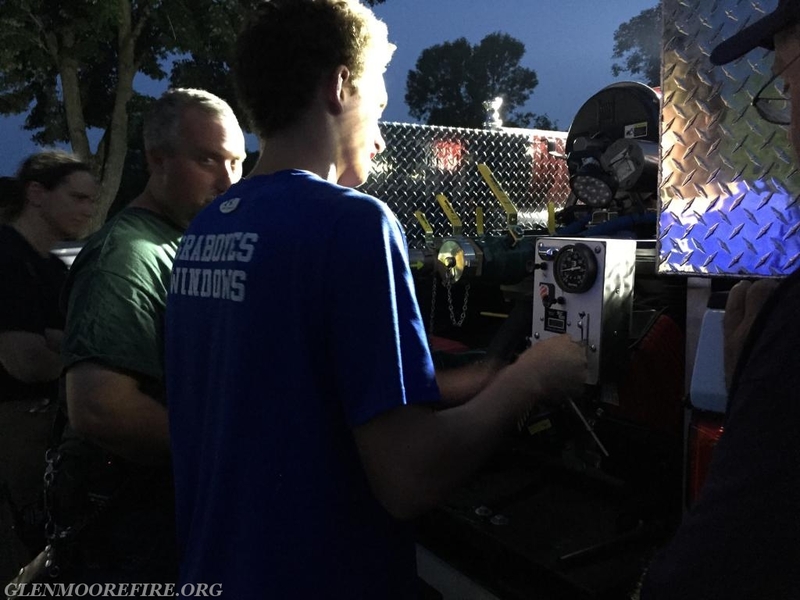 Junior firefighters also gained additional knowledge and practice with making the necessary connections to the dry hydrant and pumper/tanker. 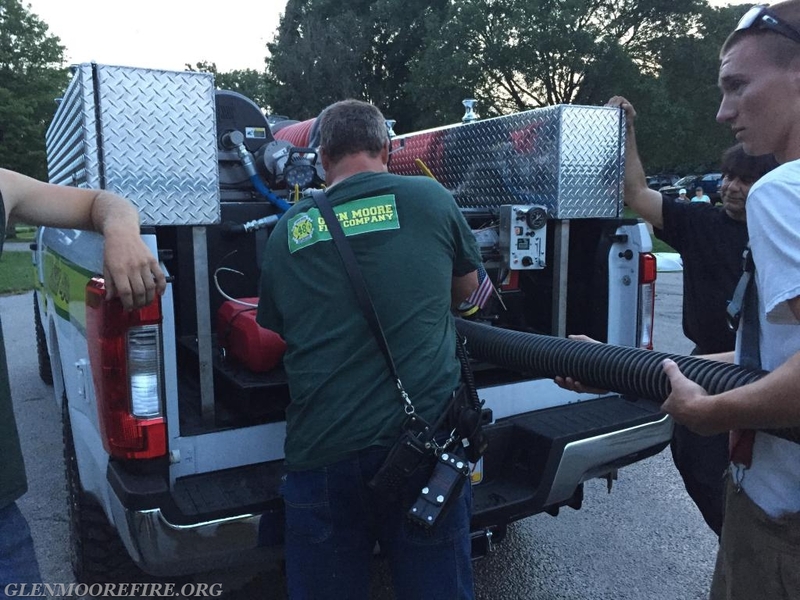 While this was going on, other members continued their training on the new brush truck. 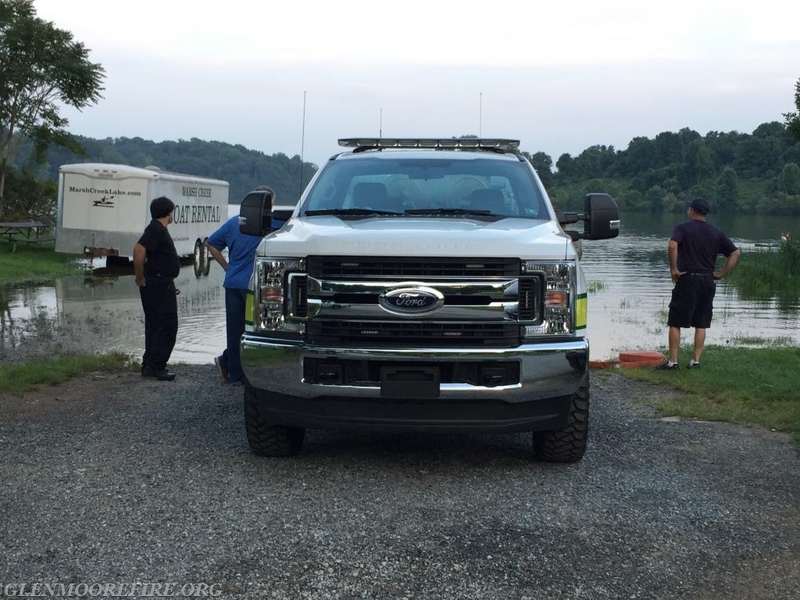 Brush 48 and its crew traveled to Marsh Creek State Park to practice drafting and water supply with the brush tank. 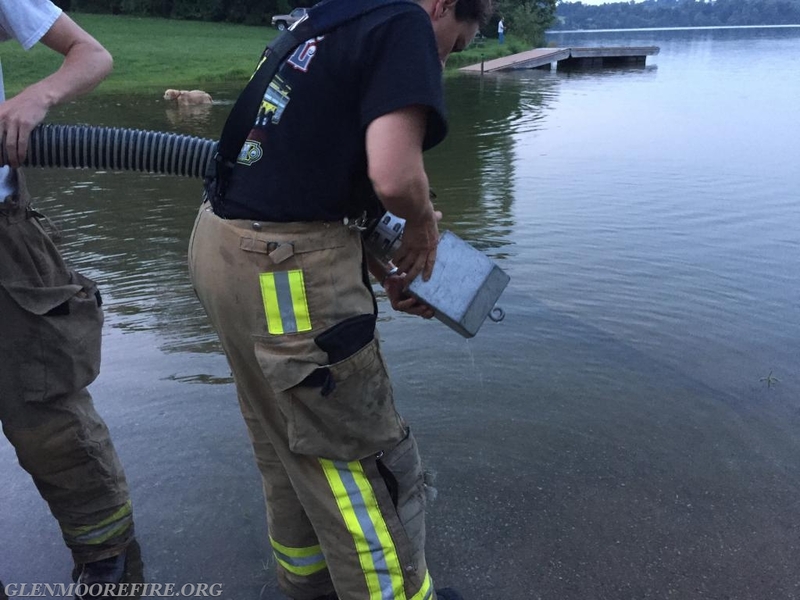 Members were able to operate the pump and practice making the connections necessary to draft water and supply hose lines. 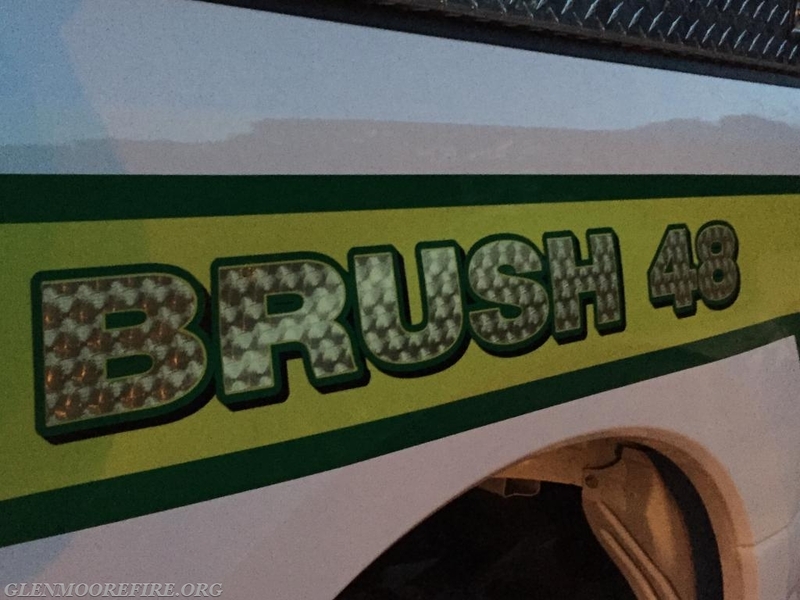 The finishing touches are being put on Brush 48 and it will be in service very shortly. 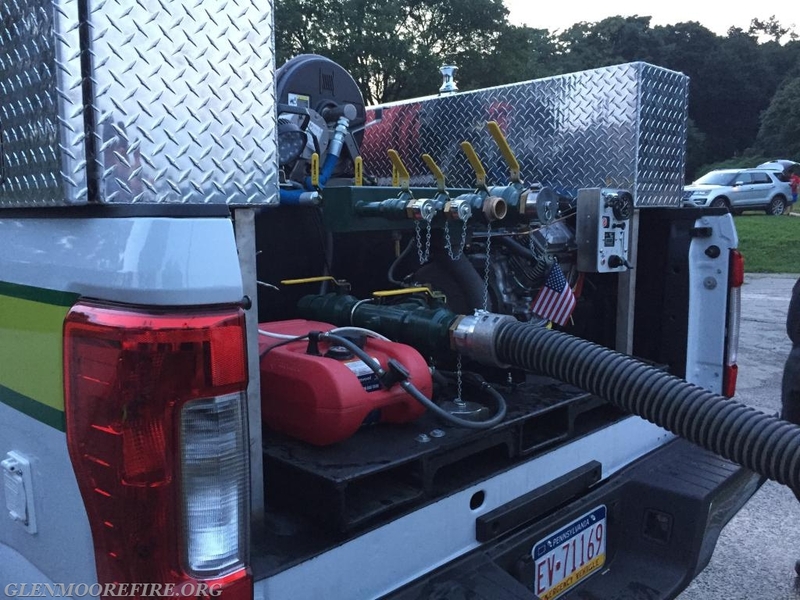 Connecting the hard suction to the brush truck to begin the drafting process. Connecting the strainer to place in the creek. The pump and its connections.